Excessive itchiness in pets can be really hard to spot as we see them every day and sometimes don’t notice a subtle change in their behaviour. Itching can manifest itself as a problematic, long-term problem though if it isn’t identified and dealt with as swiftly as possible, as Charter’s Catherine Tindale explores further below. When something changes with our pets slowly, it can be really difficult to notice that anything has changed at all. Sometimes it is only when a family member pops round and mentions your dog is nibbling their feet more than their dog does, or when we look after a friend’s dog and it becomes noticeable that unlike your pet they don’t spending their evenings giving their ears a really good scratch, that we realise something is not quite right. All dogs scratch and chew to some extent, much like we scratch an itch every so often. But, we don’t scratch constantly and neither should our pets. 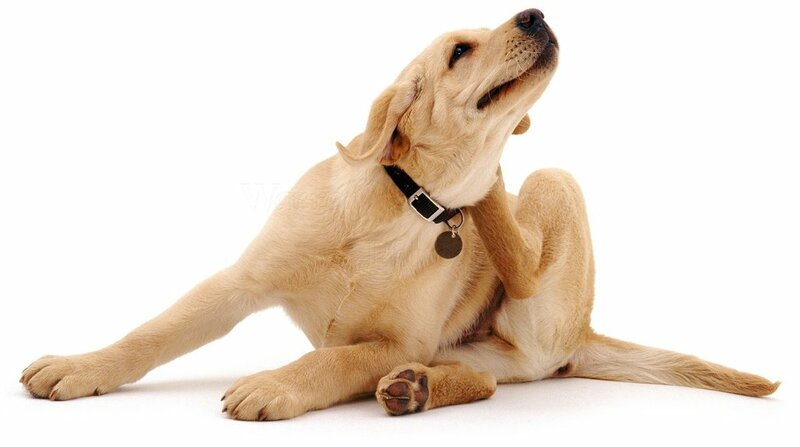 Some breeds of dog are more likely to be itchy than others, breeds such as West Highland White Terriers, French Bulldogs, German Shepherds and Boxers seem to be more prone to itchy skin disease that others, but that doesn’t mean other breeds of dog can’t also have a problem. What should we be looking out for to try and make sure our pets aren’t suffering? Stop on a walk, halfway through their dinner, on their way back from fetching a ball, to sit and have a scratch? Does this happen more than a couple of times a week? Spend their evenings chewing their nails, or their feet? Have smelly ears, frequent ear infections, or shake their head a lot? Have pinker skin on the inside of the ears, on the inside of their legs and tummies compared to elsewhere on the body? Have browny-red stained fur on the bottom of their feet or between their toes? Have thinner fur, or no fur at all on the base of their tail and the top of their back? Have moist, smelly, or discoloured skin, especially in any skin folds, or in the armpits or groin? If your dog seems to fit one or more of these statements then it is possible they are spending too much time itching and there might be an underlying problem causing this. There are lots of reasons for being too itchy; creepy-crawlies like fleas and mites, skin infections, and allergies to almost anything (food, grasses, pollens to name just a few) are the most common reasons. Not all of these problems have an easy solution, and it might take a few appointments with a vet and a little investigating to discover which reason is driving your dog to be itchy. Allergies are the most challenging of the underlying reasons for itching, mostly because they are almost impossible to ‘cure’. This means dogs with allergies almost always require some kind of monitoring or medication long term to keep them comfortable. If your dog is diagnosed with allergic skin disease, this does not mean they have to be really itchy forever. There are lots of different ways we can manage allergies (injections, tablets, shampoos, prescription foods) so we can find an option to suit both you and your dog, and keep everyone enjoying life. What should you do if you think your dog is too itchy? The best thing to do is to book an appointment at your local Charter Vets and come in and chat to one of our vets. In some dogs it can take some time to find exactly the best way to make your dog as comfortable and not itchy as possible, so we encourage you to come back and see the same vet each time for continuity. We can have a good look over your pet, do any necessary tests (usually over a few appointments) to discover their reason for itching, and then put in place a plan to try and help Fido spend less time itching and more time doing everything that makes a dog’s life so great!